From the simple and classic one-story home to the very large and elaborate ones, most people have specific ideas of what their perfect home would look like. Images have been sketched in their minds long before the first piece of brick or wood is laid on the foundation. Do you? If so, keep reading. We’ve put together a house plan questionnaire of sorts to help you stay focused, and answer the important questions during the floor plan decision process. Before you embark on the journey of choosing the home layout you want, there are a few basic questions you should ask yourself to be sure building your dream home is the route you want to go. Is your spouse in 100% agreement to build? Sure, there are plenty of things that spouses don’t agree on – and everything works out fine. This probably isn’t one of those. You and your partner will face making many decisions when choosing house plans and building your new home, and the stress of the big choices can put considerable strain on your relationship. It is a must that you are in this endeavor together. The time it takes to construct a house varies, depending on the size of the structure and the builder, but in general, actual new home construction – not including securing land, permitting, etc. – takes between three and six months. Where do you want to live, and is land available? 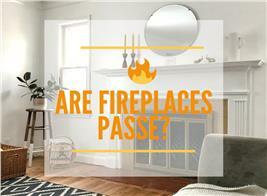 Choose your target place to live, and take into consideration the restrictions in home designs. Along with size requirements, some developers of homeowner-association-regulated communities require certain roof pitches, certain exterior finish materials, and so on. You also should also know the topography of the lot. Do you plan to be the general contractor? This key question depends on your budget (can you afford the cost of a GC?) but also – perhaps more importantly – your construction capability and knowledge of the ins and outs of the housing business. If you’re sure about the answers to the above questions and you’ve decided that this is the year for your dream home, here are some important questions to ask to help you find the right house blueprint to build the home that fits your needs. 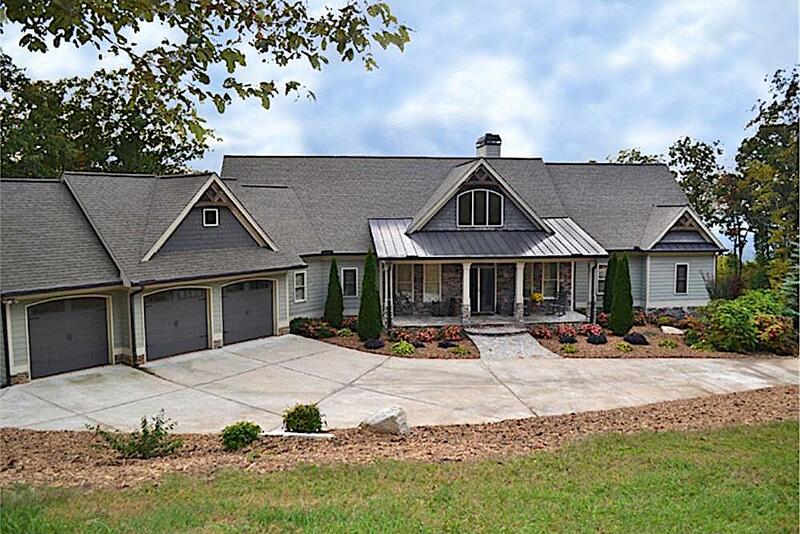 As you contemplate your perfect home, maybe you’re envisioning something like this 4-bedroom Country style ranch home? Imagine covering yourself up with a quilt and curling up on the sofa in the family room (Plan #141-1211). With so many more “fun” topics to discuss, why do we have to start with this one? Because it is likely the most important – and the one that will have implications throughout the home plan search and decision-making process. There are many considerations when you decide to build a home. But establishing a home building budget is the first essential step toward good planning and avoiding surprises when you build a home: This is simply how much house you can afford, which will equate to the size of the home. the quality of building materials chosen. Talk to your interior home designer (or decide with your spouse if you don’t have an interior designer) about how you will outfit/decorate the new home, because budget does not merely mean the size of your home but also what you want to put in it. If you want granite countertops, or green technology, you might need to reduce the size of your home. Talk to some builders about prices: the budget for construction, possible design changes, financing fees, appliances, and cost overruns. This will give you a clear idea of the investment you’ll be making. Can I qualify for a construction loan? Long before choosing a lender to work with, make sure your credit is in order. Also take into account any possible changing financial circumstances over the life of the loan. Do I have enough money in savings? You should not entirely rely on lending companies with your house construction. You have to make sure that you have enough money on hand to finance other expenses that might occur during the process. After determining your budget and financing, you must understand that building your dream house requires careful planning and a good understanding of the process. Here is an overview of The Plan collection's typical home building checklist. You may like the looks of this 2-story, 4-bedroom French Colonial home shown at top (Plan #106-1181) … but your budget dictates scaling down and going for this delightful 1-story, 3-bedroom Craftsman style shown at bottom, which offers flex space for expansion (Plan #109-1013). Now on to something more fun! With your budget set, you must answer a series of lifestyle questions to determine your needs and family lifestyle, which differ depending on the family members’ life cycles. How often will you have overnight guests? Is it possible that you will be caring for elderly parents or grandchildren in the future? 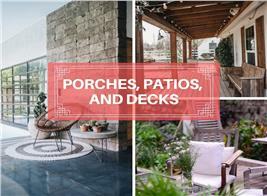 Do you prefer entertaining indoors formally or outdoors in a casual environment? 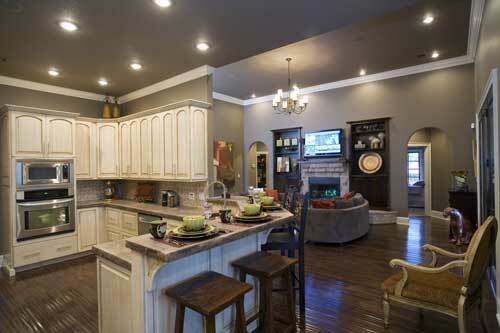 Where do you envision the central or focal point of the home – the kitchen or family room? How much privacy do you require (from other occupants and/or neighbors)? How do you envision spending time outdoors on your property? If privacy is important to you, consider a house design with an L or U shape design. Windows are also an important element in providing privacy from your neighbor's windows and yards. The actual house plan you choose depends on your family’s personal preferences and needs. Do you have any hobbies that would require additional space? Do you need a room for messy projects or noisy music? Do you require lots of space to store collections (china, dolls, antiques, etc.)? Do you enjoy gardening, so you will need a mudroom and half bath to go in and out of the house? Once you have a good idea of your particular family’s lifestyle, try to list what you and your family really need. How many bedrooms, how many bathrooms, how much storage space? Think bare minimum here. What could you live with if absolutely necessary? Next, think of individual needs. Dad needs an office, Mom needs a craft room, Jimmy needs a place to play, and Susie needs her own bathroom, etc. Write all of these required aspects of the home down in an organized list and keep it handy. When you finally decide on the configuration of your dream home, this list will help you determine what is an absolute necessity when finding a floor plan. Keep in mind, it’s important to make sure the house will remain marketable to future buyers in the event that you decide to sell. This charming 1.5-story European style home with a courtyard and covered front porch includes 4 bedrooms, 3.5 baths, 3 garage bays, an outdoor grilling porch, and a Great Room that flows into the kitchen, dining area, and living space. Imagine the family relaxing and spending time together in the comfortable living room shown here (Plan #153-1987). You have liberty to dream here – yeah! – but keep your budget in mind – ugh. Again, remember to gauge your wants, like granite countertops and crown molding, with the size of your home. 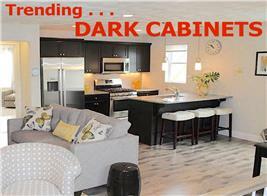 You don’t often see 5,000 + square foot homes with Formica countertops and vinyl flooring, for example. When it comes to how big or small your house should be, according to a new study - U.S. Census Bureau 2017 Characteristics of New Housing - the average size of a new home was 2,631 square feet, down slightly from 2015’s record of 2,687 square feet for a single family home. Look for a house plan that gives you the flexibility to expand. These days, even “starter” homes include bonus rooms that can serve multiple functions – such as home offices, hobby/guest/family/play rooms. An open floor style makes the most sense because it allows the family to mix and mingle freely; and parents to keep an eye on little children. Size is an extremely important piece of the puzzle because you don’t want to look back with regrets after building and wish you had space for more. On the other hand, you don’t want a home with an abundance of unneeded space that you aren’t sure how to fill. Spend time on the size question to ensure you have a firm understanding of how big or small you want to go. So many choices. Architectural Styles! Another important want is architectural style. Architecture in the U.S. is a diverse representation of our multicultural society. Every region, state, city, or small town has its own unique style of architecture that has developed over the centuries. Certain architectural styles will inevitably increase the construction cost of your home as well and should be accounted for in your budget. 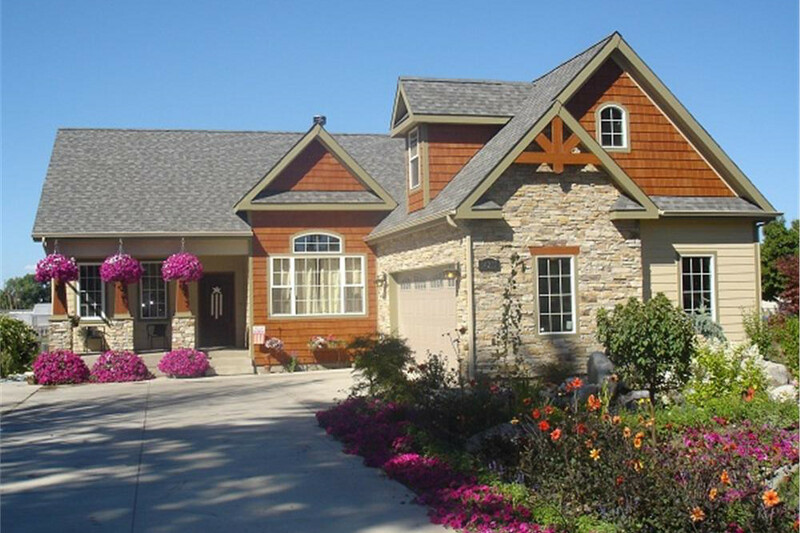 Ranch home designs, for example, are fairly easy to build in terms of their simple architecture as compared with many house plans in the classic Mediterranean or Spanish architectural styles common to Florida or California. Modern style plans can be pricey too, depending on the design. There are a few other factors to consider when you choose the style of house you would like. Would you prefer a one or two story home? Are you considering a full basement or a slab foundation? 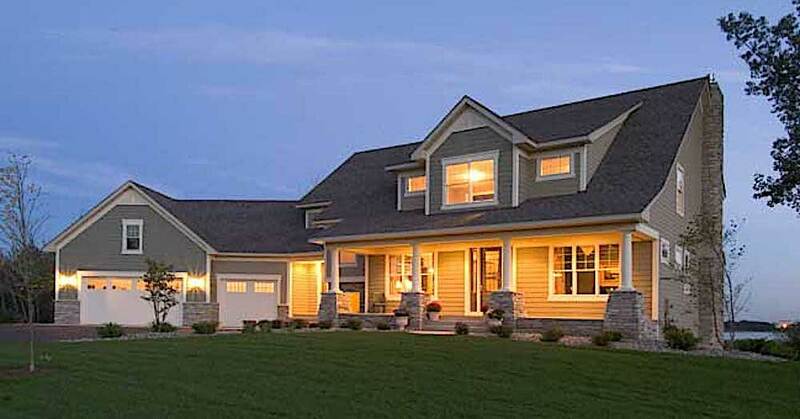 Top: This 1-story Traditional style “starter” home can become a “forever home” because of the flex space it offers. 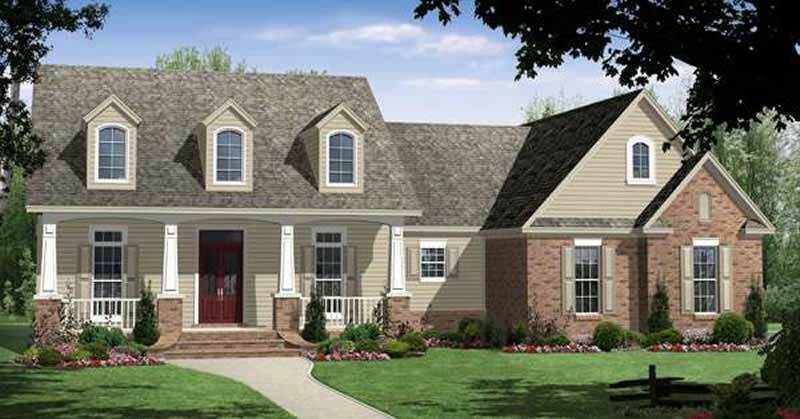 It has 3 large bedrooms, 2 full baths, a bonus room, loft space in the garage, and room for an optional patio or deck in the back (Plan #142-1051). Bottom: This 1-story mountain Ranch style house has 5 bedrooms and 4 baths and a basement with unfinished space – ideal for future needs and flex space (Plan #163-1055). Garage space can also be converted into work rooms or a loft suite with sleeping quarters, kitchen and bathroom. This space comes in handy when grown children decide to return to the family home. A Potential Constraint? Your Building Lot. The geography and landscaping of your lot might have an impact on the style of home plan you choose. Do you envision a lawn area for outdoor sports activities or do you want a swimming pool and/or Jacuzzi? What about growing a vegetable garden? Home plans for flat building lots are less expensive to build, whereas a sloping lot might allow for a daylight basement or garage under the house. Should you choose a narrow lot, the house design would need to rise up instead of spreading out. Wider shallow lots might accommodate a broad one-story home. And a lot with spectacular view would call for large panoramic windows and possibly a roomy outdoor deck. One more factor, mundane as it is, how many cars will you be housing? Will there be enough driveway space for entertaining guests or for parking cars as your family grows? If you haven’t yet purchased a building lot, here are some things to consider as part of your search. With the style, size, and house plan selected to fit your budget, you can use that information to find the right building lot. A good tip is to list the pros and cons of the things that you liked and disliked about places you have lived in the past. Then compose a wish list with important attributes that you are searching for and bring this list with you as you start to check out lot locations. While searching for your ideal building lot, evaluate each lot based upon the qualities on your list. The neighborhood matters. As the saying goes in real estate, “Location, location, location.” Check out the immediate neighborhood and surrounding areas before committing to such a serious and long-term investment of your money, time, and efforts. Is the building lot near a busy street? Is there a lot of noise in the area? Do you like the community and its residents? Does the neighborhood offer things that you need – and want? Consider schools, recreation/centers, churches, grocery stores, hospitals, and so on. Above all, will you – and your family – fit in with your neighbors and be happy living there? 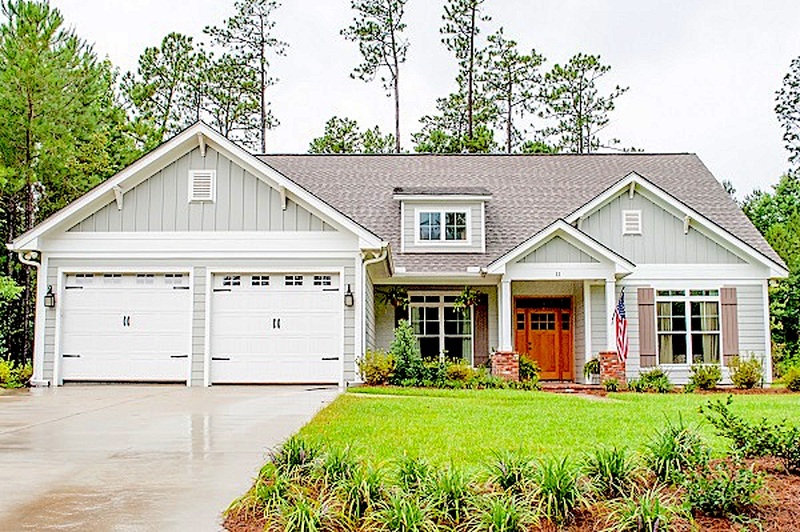 Top: If you fancy living in a Farmhouse style home, this is a delightful choice – with its gorgeous porch and stone-based columns, an inviting foyer that opens into the dining area, a private deck, and other amenities, including extra space (Plan #165-1090). Bottom: This French style home has more than 5,700 sq. 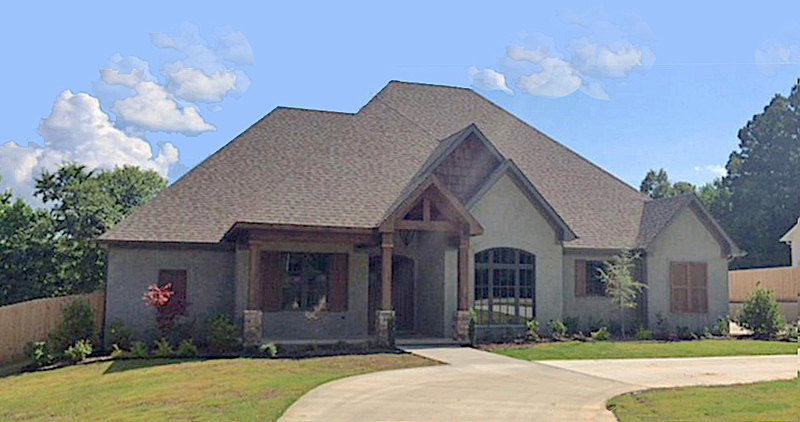 ft. of living space – making it perfect for growing families and entertaining (Plan #161-1022). You’ll probably have to compromise on certain things when building a home, so be prepared. What is really most important? Think in the long term. What will be important to you then? You don’t have to cross anything off your list, but just be ready when decision time comes. Top: This 1-story European style home has an exterior of rock and brick, barrel arches and timber beams. 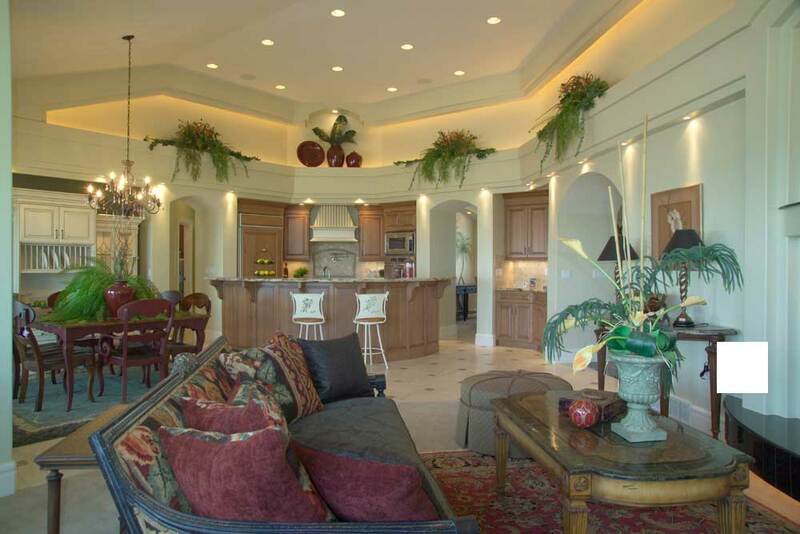 Bottom: The Great Room – with the kitchen – is spacious and just ideal for small and large events. For expansion, there is a basement with a recreation room, wet bar, and room for two more bedrooms (Plan #135-1060). What Do I Need to Know about Codes? It is extremely important to make your local building department aware of your construction intentions. They will assess your plans and advise you on what you need to do to get your house to meet local codes. Then you will be able to get a building permit. This is not only to protect you but also your neighbors, visitors, subdivision, and local government as well. Building codes will vary by region, so plans may need further (usually minor) modifications from a local builder, engineer, or architect to account for local requirements. Anyone who purchases a house plan online should work with their builder (or a local engineer or architect) to ensure that the plan suits the building-site conditions and complies with local codes. 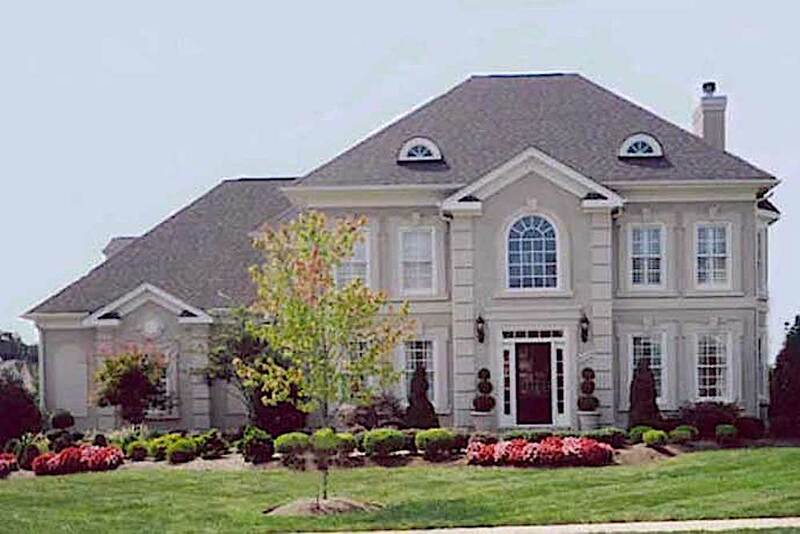 Online sites are a good starting point, especially for people looking to build a luxury home. It’s a good idea to have at least a basic knowledge of your local codes and regulations. Lot restrictions, for example, are very important. They’ll decide not only the width and depth of your home but also the height. Consider your foundation as well. If you can build a basement, then you can look for smaller homes. The square feet in an unfinished basement don’t count until they’re finished and heated. Here is one more thing – when calculating the total square footage – porches, basements, attics, and decks are considered unfinished areas; therefore they are not calculated in the total heated/cooled square footage of your new home. How Do I Find My Plan? 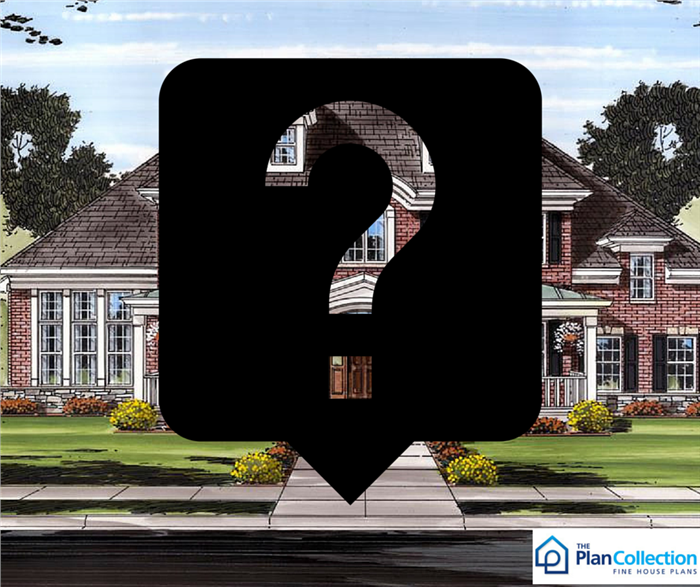 Now that you’ve answered the big questions,The Plan Collection has more than 22,000 plans of all different architectural styles to browse through. We have plans to match any region in the U.S. or Canada. Use the Advanced Search for more options to narrow down your search criteria and take time to look at the results thoroughly. Don’t skip the pencil drawings. They might be a little harder to visualize, but many of them are hidden treasures. How many sets of prints will you need? If you are going to work with a bank, contractor, or any local officials in the construction of your dream house, you will need to furnish them with copies of your blueprints. Most builders will advise having between five and eight copies of a set of house plans to meet your building requirements. You can either purchase a five- or eight-copy construction set of plans or order a reproducible master, PDF file, or computer-aided-design (CAD) file and make as many or as few copies of the construction set as you want. During the search is when you will find yourself compromising, and you’ll be glad you prioritized your wants and needs. If you need help searching, give us a call. Top: This 4-bedroom Ranch style house has a hip-and-gable roof and brick exterior. Bottom: The Great Room and kitchen living space sits between three bedrooms in one wing of the house and the master suite in the other side of the home. The home comes with a lot of amenities, including a home theater, formal dining room, grilling porch, and two fireplaces (Plan #153-1210). What About My Unanswered Questions? If you have more house plan related questions, remember, much of the information you’ll need is provided for each plan on our website. Read the specifications thoroughly. We also have a Frequently Asked Questions article that can handle many other concerns. If you can’t find the answer to your question or concern on the site – or you’re just unsure of the answer – then feel free to call or email us. We’re happy to assist you in any way possible. It’s time for action – as you’re now ready to find the perfect home plan for your new Dream Home!